We believe that personal well-being and growth are related. Refugee who come to the course will learn how to identify enabling factors to personal well-being including optimism, meaningful activities, diet and social relationships. 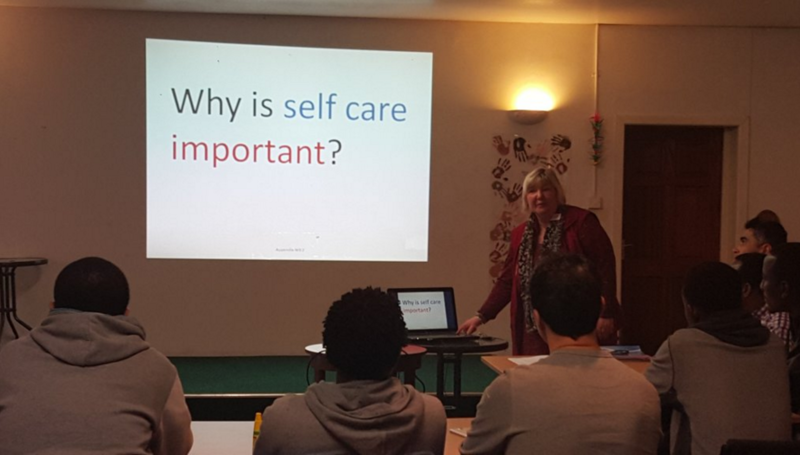 The course will help in understanding of how positive and negative emotions affect us and how we can use this knowledge gained to reduce the risk of stress for oneself. How to reduce the risk of stress/ anxiety and improve mood.